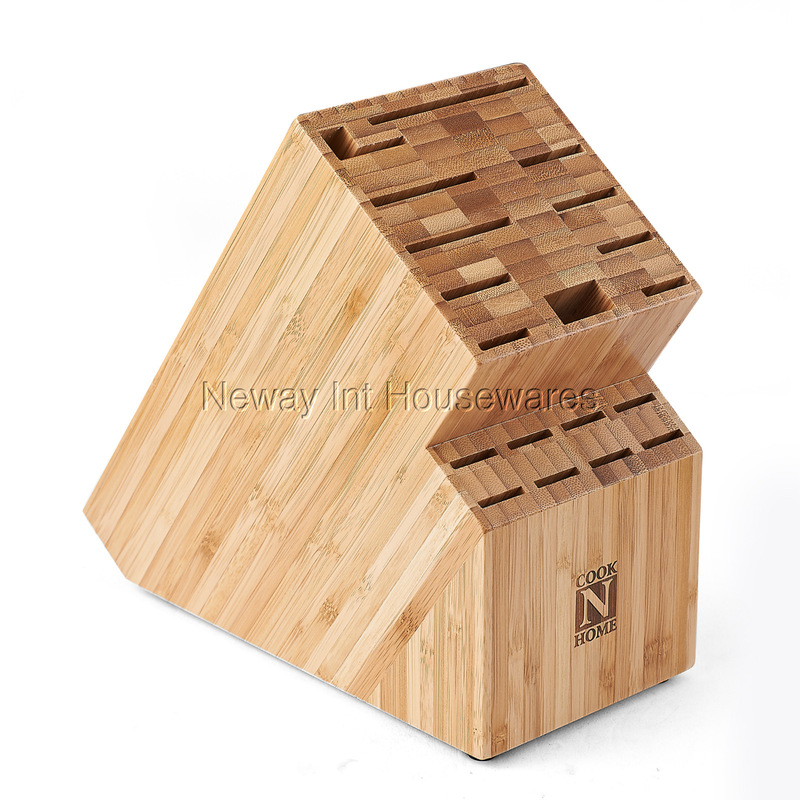 The Cook N Home Bamboo Knife Storage Block, 19 Slot is made of natural bamboo that is durable and looks great. Holds most commonly used knives and accessories up to 9 inches deep. 19 slot widths range from 3/4 to 3 1/4 inches and holds chef’s, steak, wide and long knives, and a cleaver. Wider slots can hold a kitchen scissor, sharpening steel, and other items. Angled slot to grab knives easily. Rubber feet prevents block from slipping. Dimensions are 10.2 in. length, 9.2 in. height, and 4.8 in. width. Wipe with cloth to clean.